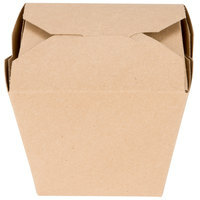 Some of our Chinese food boxes are available in environmentally-friendly designs to help your restaurant or establishment go green, and many are microwaveable so your customers can reheat their meals at home! 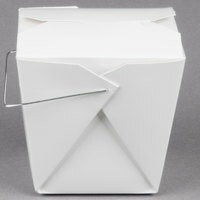 Choose from containers with metal handles for easy carrying or without handles to make packing to-go bags simpler. 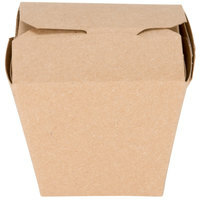 These boxes come in round or rectangular designs, and all of them feature interlocking flaps that create a secure seal for leftovers and take-out meals. 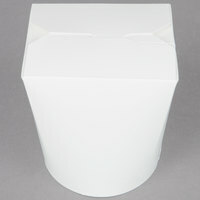 Also make sure to check out other great items from Kari-Out Company, Dart and Fold-Pak. 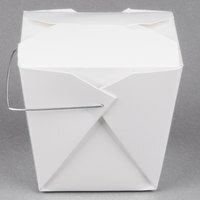 Staff and guests can easily carry these containers with handles. 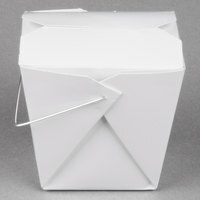 This traditional design is perfect for Asian restaurants. 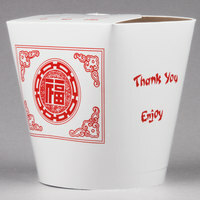 Support the earth with environmentally friendly containers. 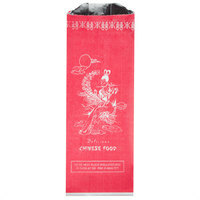 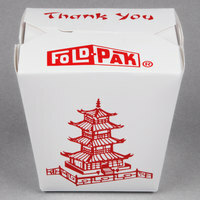 Guests can heat up take-out in these microwaveable boxes. 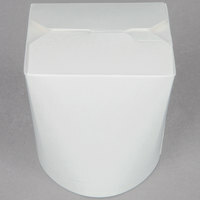 Choose these small containers for sides. 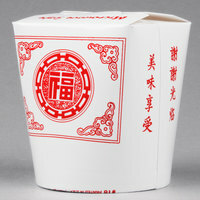 16-oz. 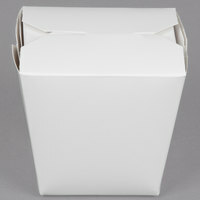 containers are ideal for rice or medium-sized entrees. Select 32-oz. 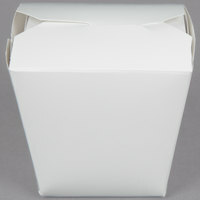 containers for large portion sizes. 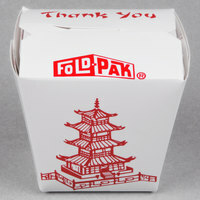 The traditional Asian design on these take-out containers is instantly recognizable and accentuates the theme of your operation. 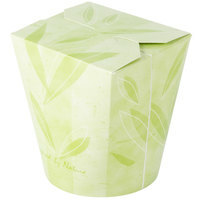 These Asian take-out containers feature a visually appealing natural design with branches, leaves, and bamboo shoots. 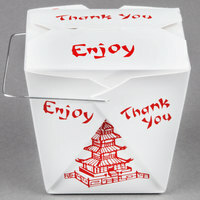 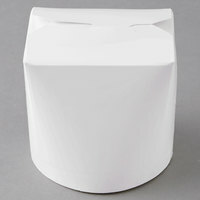 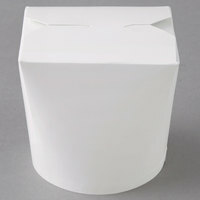 The plain design on these Chinese take-out containers can be used in a variety of different settings. 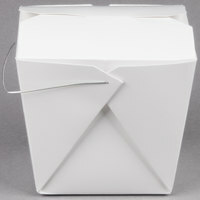 Rectangular take-out containers are easier to stack in a delivery bag than other options, making them ideal for take-out service. 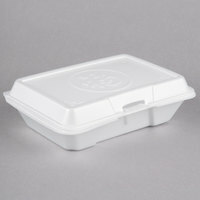 Our round take-out containers have a unique one-piece design that retains heat, resists leaks, and prevents spills. 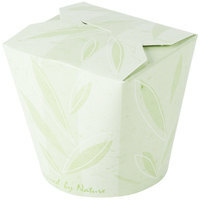 Double poly coated paper containers are made with durable and eco-friendly materials. 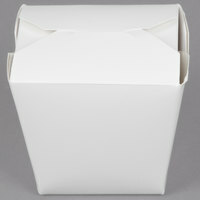 These take-out containers are insulated to keep your customers' food hot until it's ready to eat. 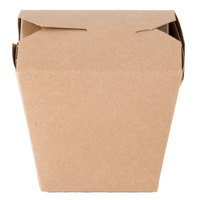 Post-consumer paperboard is made with recycled materials, making it an eco-friendly alternative to other materials. 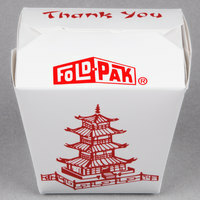 These products help support the domestic economy. 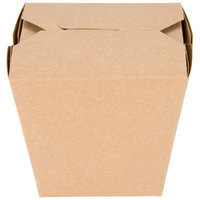 Choose an environmentally-friendly option for your business. 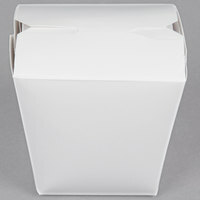 The handles make these containers easier to carry. 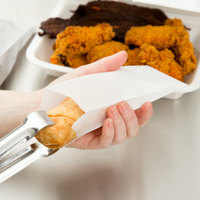 Customers can reheat their leftovers in these products. 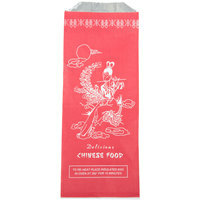 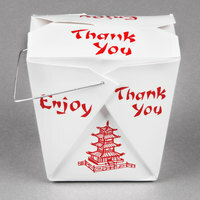 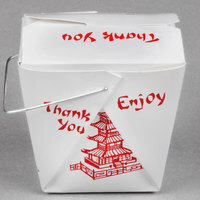 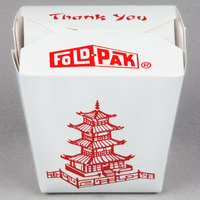 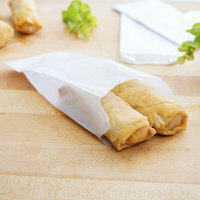 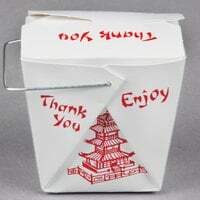 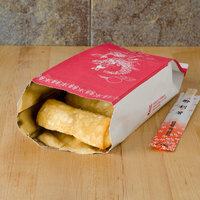 Our paper take-out containers are perfect for any Chinese, Vietnamese, or Japanese restaurant! 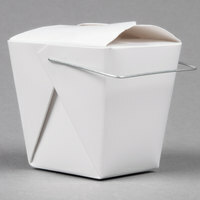 These Chinese take-out containers come in many sizes to accommodate any portion, and some include special features like metal handles or a microwaveable construction. 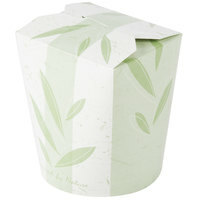 Whether you’re serving vegetable fried rice or moo goo gai pan, these take-out containers will keep your delicious food hot, fresh, and ready to enjoy! 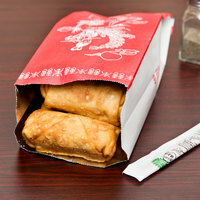 Also consider our selection of sushi restaurant supplies, Asian condiments, and disposable chopsticks to fully equip your Asian restaurant. 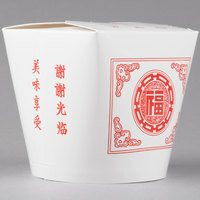 If you're wondering where to buy chinese / asian take-out containers, we have a large selection of chinese / asian take-out containers for sale at the lowest prices.